The new version of WordPress has arrived! 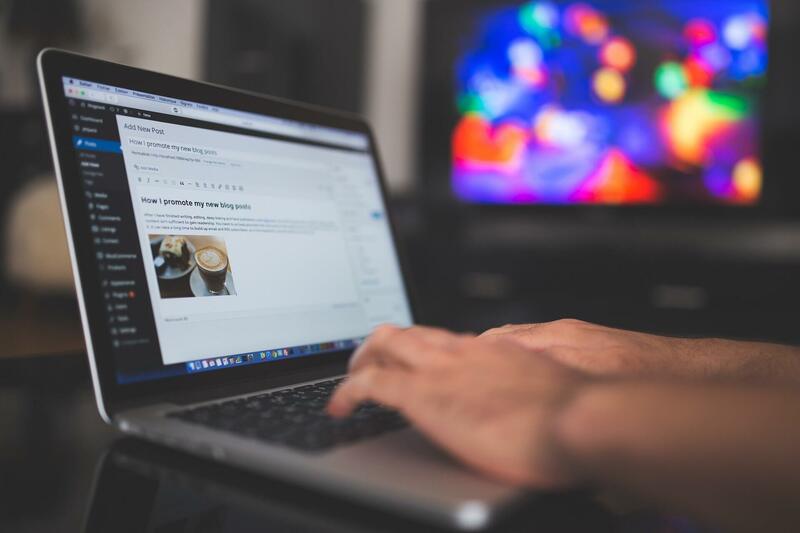 WordPress 5.0 has been available since December 2018 and brings many improvements and renewals. What is so special about this version and why it outshines all other versions of WordPress and further differences, we’ll explain to you in this article! 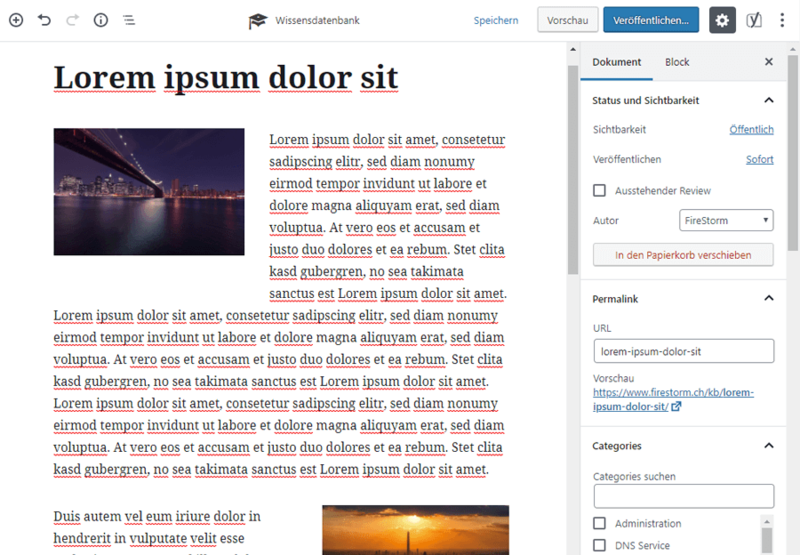 WordPress 5.0 is available with the new construction kit editor “Gutenberg”. This simplifies the structure also for laymen around a multiple and offers various leeway for creativity and design possibilities. Considering how many website owners use WordPress, this is a step in the right direction. Because not all of them are web design experts. A simply knitted modular system comes at exactly the right time. Of course, there have been such modular systems before – but none has ever been so comprehensive and modern. Admittedly, WordPress 5.0 is an enormous change from its predecessor. Professionals and old hands will have to get used to the new design first. But it is the case that even popular and well-known sizes have to keep up with the times. Therefore this step of WordPress is the right one. Who knows the older versions, knows that the updates between the old versions e.g. from 4.8 to 4.9 are not so big. Most of the time these were minor bug fixes or single new features, like the update of version 4.9, when it was possible to plan changes to the design at a later point in time. Or when version 4.8 brought several widgets updates. For example, you can compare the then update to version 4.0 with the 3.9 versions. Even then it was a leap in the direction of modernization. WordPress leaves nothing to chance and approaches this topic every time with great motivation. What can I expect from the WordPress 5.0 version? Beside the new construction kit editor there are further news around this new version. It’s about the way the new updates will be released. Previously, the WordPress team had planned several update releases throughout the year and therefore made the data known relatively early. Mainly there were 2-3 bigger updates and several smaller ones. The team now wants to release the updates “spontaneously” starting with version 5.0. So you don’t get an announcement months before. Further new points around the WordPress version 5.0 is that it is now much easier to create your own templates and themes. Thanks to the “Gutenberg” editor you don’t need a lot of programmer knowledge anymore, you are completely left to your own creativity. Thanks to the building blocks of the editor, the creator sees the result of his work immediately – manual changes in the CSS, PHP or HTML file become a thing of the past. A disadvantage, which could play a role at the beginning, is that the plug-ins of other pagebuilder tools (i.e. these building set tools) will not be fully compatible. But we think that with the new editor the possibilities will work already without add-ons and plug-ins. With the new modular system, the same number of changes will come. Of course, this also includes a new learning process for you. But that is no reason to worry, because it is not difficult. Furthermore it is possible – thanks to a plug-in – to use the old editor on WordPress 5.0. For the best experience, however, we recommend that you use the new editor. The editor comes with its own extensions and is individually adjustable. It is suitable for larger and smaller projects, depending on the scope and intended use. Once you have familiarized yourself with the new system, nothing stands in the way of creating your own website with WordPress 5.0. To be fair, the Gutenberg Editor has been criticized. According to some experts who think that the installation of this editor is premature, there is also the disadvantage of knowing relatively few exploits and gaps. It does not have a direct impact on the rest of the WordPress 5.0 installation, but it is still a notable flaw of this update. Besides the mentioned shortcomings of the construction kit editor, there are also a lot of security updates with the latest WordPress version, which do not directly affect the editor. Dangerous security holes from the previous version were closed and new obstacles against misuse were added. All in all, it can be said that this version – although still quite new – is one of the safest in comparison to its predecessors and competitors. For smaller and larger projects WordPress is the ideal reliable partner. Is it the right time to update to 5.0? Now at the end of January 2019, about 2 months after the release and the first feedback, we can confirm that it would be worthwhile to switch to WordPress 5.0. It is important that you make an extensive backup of your website before the update. So you can restore the old version in case of dissatisfaction, errors or data loss. If you have any questions or problems, we will be happy to help you.